I know I say it pretty much every month but November was crazy! It flew by and we have been really busy with the house move. November has been the month that I’ve really noticed what you are learning at school. I know that may sound silly, but its like so many things have clicked into place and your knowledge, writing and reading have improved so much. You are still enjoying school and I can see real friendships starting to emerge and it melts my heart. To see you walk into school holding their hand, its everything that I wished for. You and Holly are playing together more and more, as Holly gets older she understands more. It’s one of my favourite things to watch. Ice skating. We’ve been twice this month and you are really confident on the ice. November has seen you grow with confidence. At ballet each week, you know what you are doing and join in with such confidence. I can’t remember a time when you weren’t talking and your speech is brilliant. You are still a little monkey with your food, but we are ploughing on and trying not to get to caught up in it all. We went and looked round your new preschool this month. The minute you arrived you wanted to take your coat off and headed straight for the kitchen to play with. You did a drawing and played with the play dough. Let’s hope you love it this much when mummy leaves. Your dressing gown, the minute you get home you want to wear it over your clothes!!! 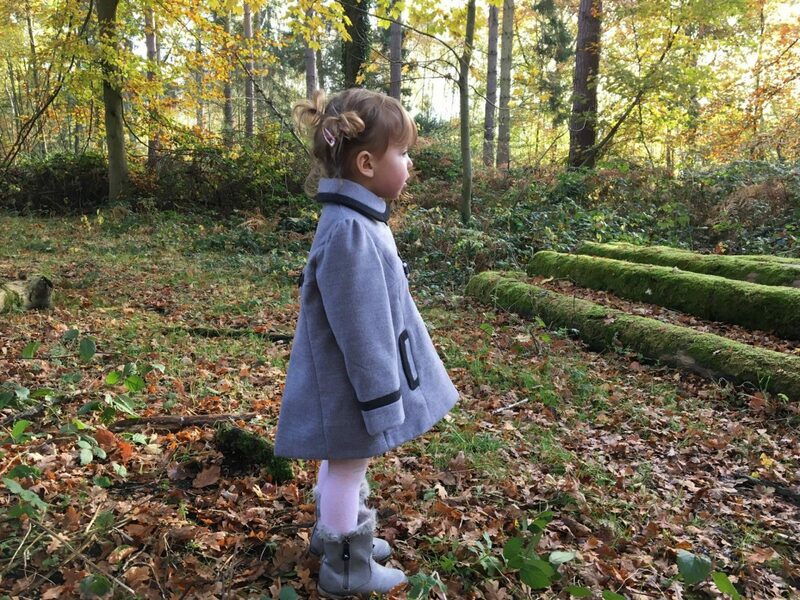 This month we’ve been going on lots of lovely Autumn walks and enjoying the dry weather we’ve been having. 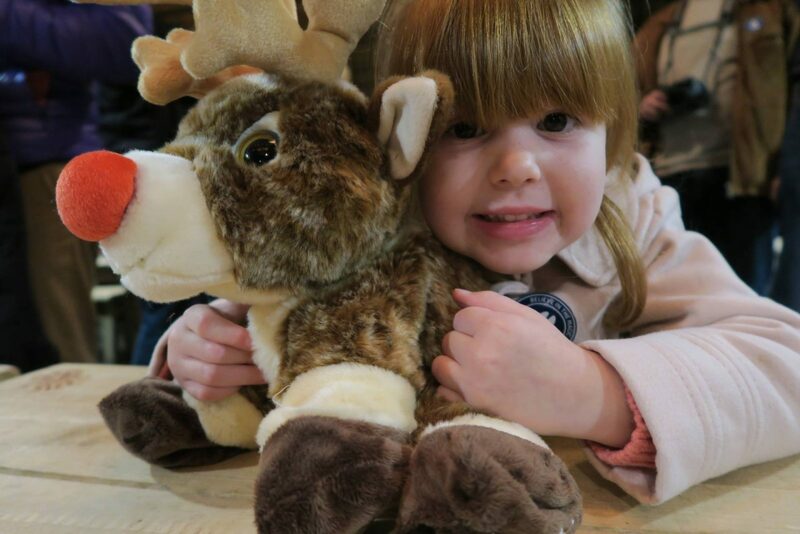 We ended the month on a high with a trip to Lapland UK, it was literally the best experience I’ve been to. This time of year the germs are about and with Alice at school she is likely to pick up more than ever. 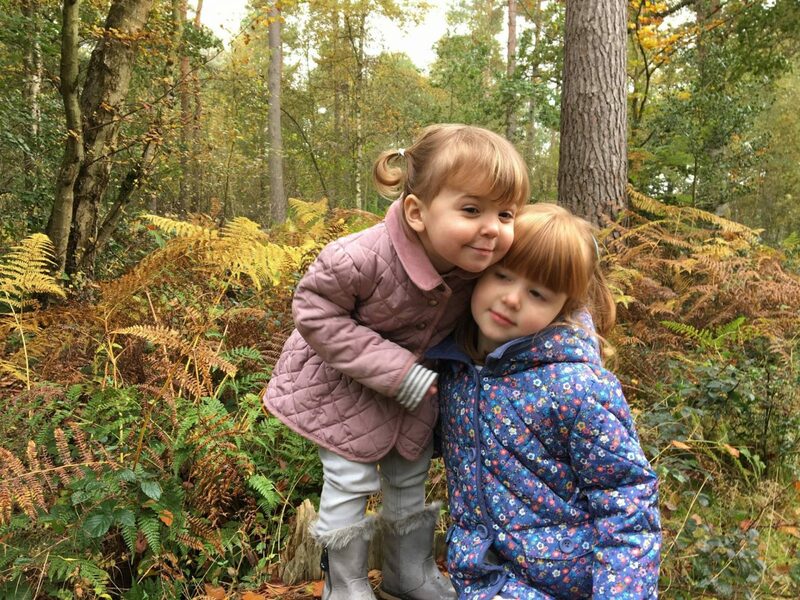 I’ve always given my girls vitamins, since Alice was younger and the health visitor advised us that there was a high number of young children with a vitamin D deficiency. We were recently sent a winter support kit from Redoxon to help us enjoy this time of year. 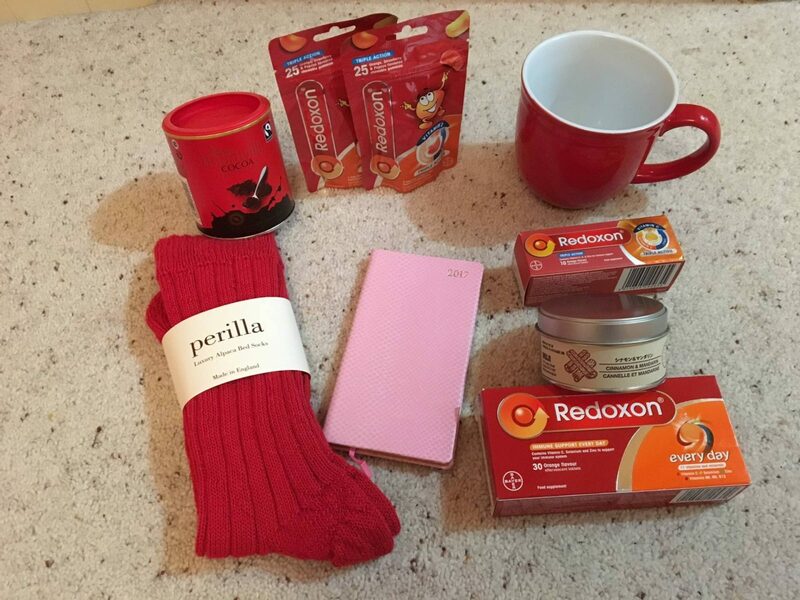 It contained some of my favourite things, scented candle, winter socks, a mug, hot chocolate and a diary. It also included some Redoxon vitamins for Alice and me. Alice’s were flavoured chewable gummies and she is very happy to have two of these every day. She thinks they are yummy! Holly is too young at the moment for this range, these are for aged 4 and over. For me, I dissolve one tablet in a glass of water and it becomes an orange drink. Now my mum will be reading this and thinking there is no way Laura will drink something like this. I am a bit fussy about medicine and it took many years before I could swallow tablets and take medicine. However, I gave it a try and I genuinely like it. It does taste of orange and I happily drink it every day. We’ve been having them for a few weeks now and so far the germs have stayed away. Plus Alice is getting the vitamin D that she needs. It has to be our trip to Lapland UK. It was the most magical day and I loved seeing the girls face light up, over and over. December starts with us moving house and we can’t wait. And of course we have lots of wonderful festive fun planned too. Disclosure: We were sent the Redoxon winter support box to include in this post. All views and opinions are my own. Ah it sounds like you’ve had a great month. Holly’s little face is just the cutest in that last photo! Best of luck with your house move, I hope it all goes smoothly.